It’s been frigid in the Philadelphia area the last several days and on Friday we got a blanket of snow to boot. Since we can’t survive off of mug after mug of hot cocoa, why not make a big pot of warm, comfortable soup? 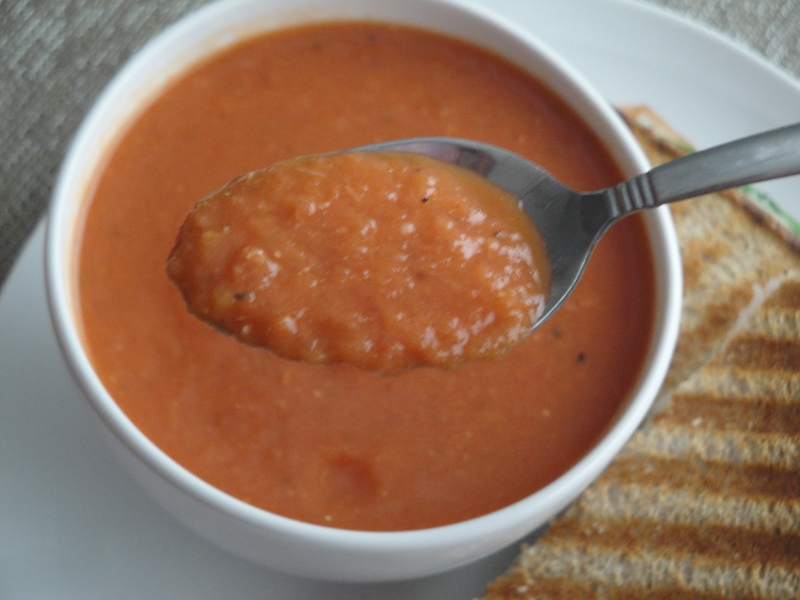 This Winter Tomato Soup just seemed like the perfect dish to make when I just couldn’t seem to warm up. Made with canned diced tomatoes and tomato paste, this simple soup also has a little milk and non-fat Greek yogurt which gives it a slightly creamy, velvety touch. If you are expecting a taste similar to Campbell’s Tomato Soup out of the can, you will be disappointed. No matter how great that canned stuff is, this vegetarian soup is a much lighter and more fresh option (only 76 calories a serving too!). 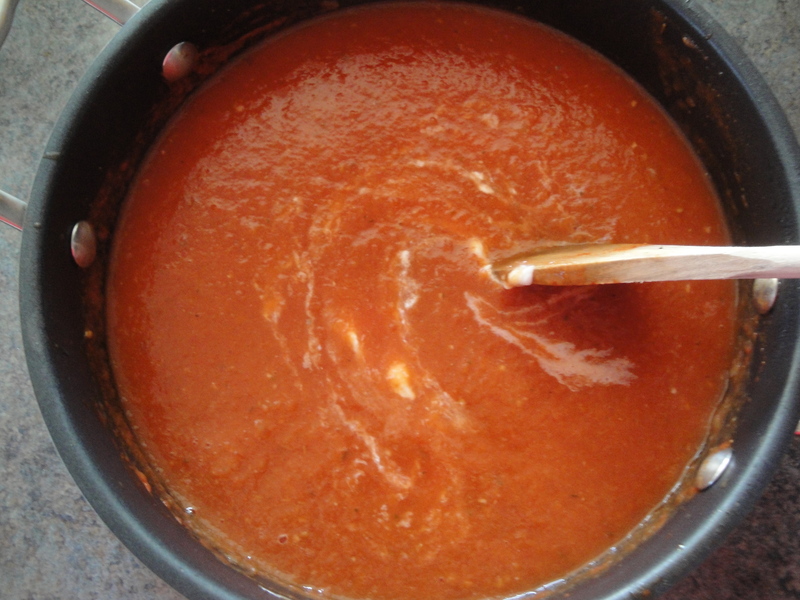 I’ve never attempted tomato soup before now because honestly I grew up on that Campbell’s soup and love it. 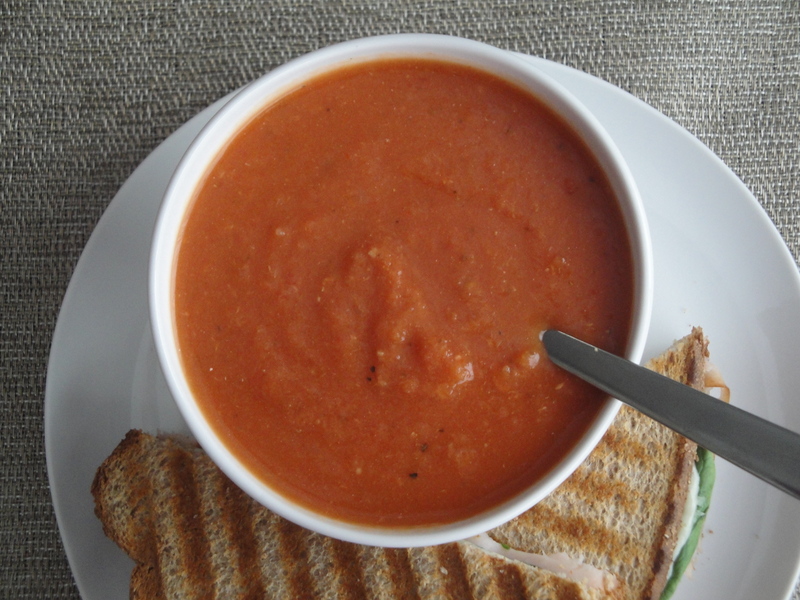 But this was a nice bowl of soup that paired perfectly with a sandwich (which I’ll have for you later this week). Heat olive oil in medium saucepan. 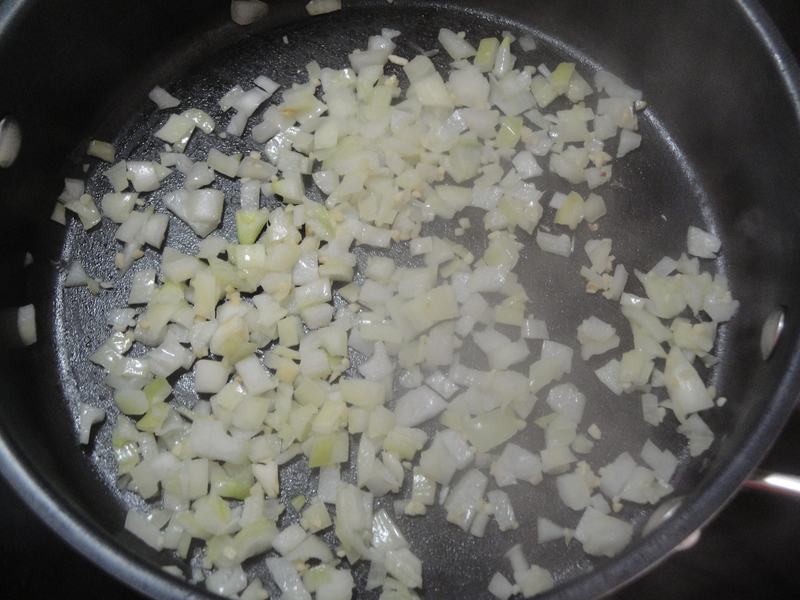 Cook onion and garlic until soft, about 5 minutes. 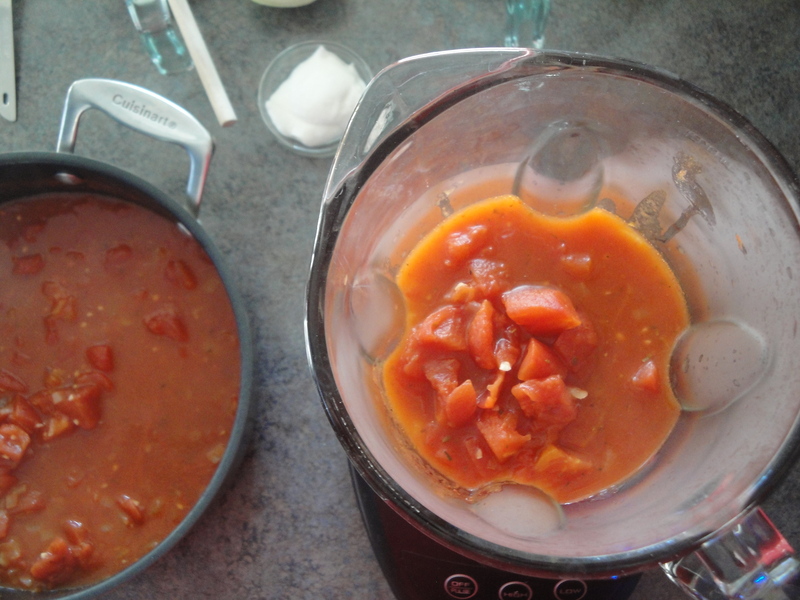 Add tomato paste, sugar, thyme, bay leaf, tomatoes, and 2 cups water. Stir together and bring to a boil. 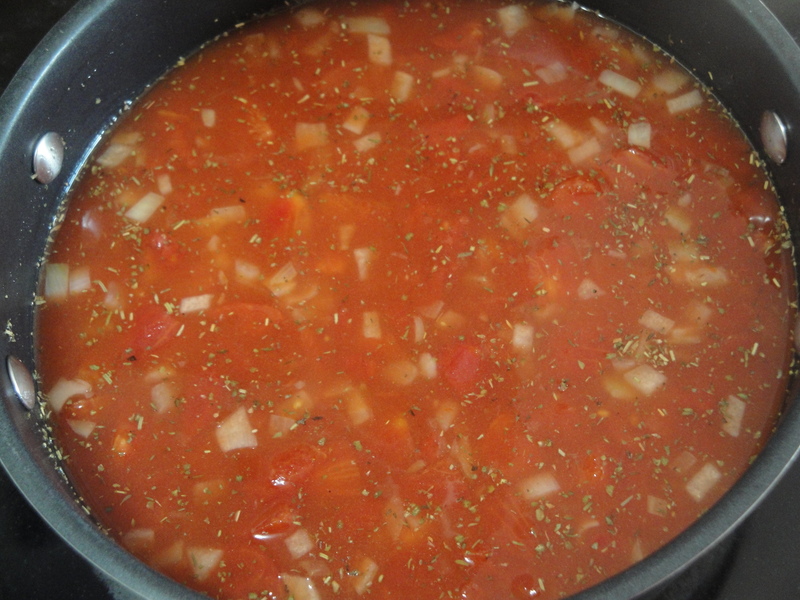 Reduce heat and simmer about 20 minutes. 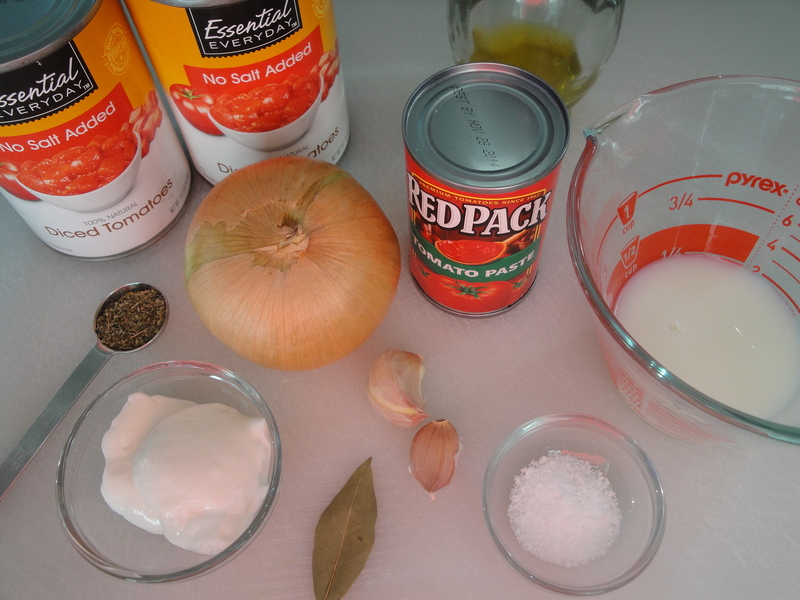 Heat milk in microwave for 30 seconds to warm, and then stir it into the pureed soup along with yogurt. Mix well. Your soup sounds wonderful for a cold and snowy day.